This professional funky soulful party band provide superb music for weddings, parties and corporate events - this is music you are going to want to dance to! This professional funky soulful party band provide superb music for weddings, parties and corporate events throughout the UK - this is music you are going to want to dance to.....Guaranteed! Consisting of only three musicians means this act can offer versatility that can’t always be accomplished by a larger band. They have performed throughout the UK and are equally comfortable performing to 200 at a corporate event or 30 people at an intimate party. Whatever your requirements they can cater for them! 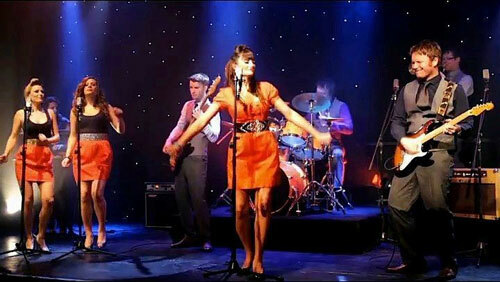 They provide full professional PA, lighting rig and background dj music for between sets. 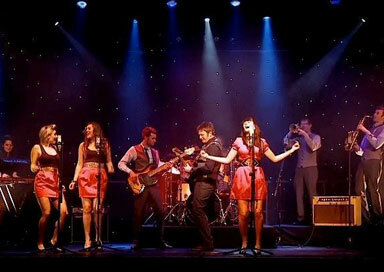 The seven piece band produces a truly fantastic sound and is perfect as the evening’s main entertainment. It comprises vocals, guitar, keys, drums, bass, sax and trumpet. However you may wish to have a larger band and we offer all line up options up to a 12 piece band including a 5 piece horn section and 2 dancers. All prices for line up options are available on request. The band will perform for up to a total of two hours of live music, with mixed pre recorded music being played through the PA in the intervals of the band’s performances as standard. The versatility of the members of this band means that they are just as experienced performing Jazz Standards, as they are party tracks, and are able to offer the Jazz option. Dine in style whilst being entertained by the refined sounds of Jazz. We can offer the jazz band in any size from a piano/vocal duo all the way up to a brass enhanced quintet. All of the bands are able to cover a full range of cool jazz standards.The Trio or Quartet is able to cover a full range of cool Jazz Standards. Whether it’s a drinks reception or atmospheric music during dining, we are happy to meet your exact requirements in order to ensure that your event is a complete success and enjoyed by all. 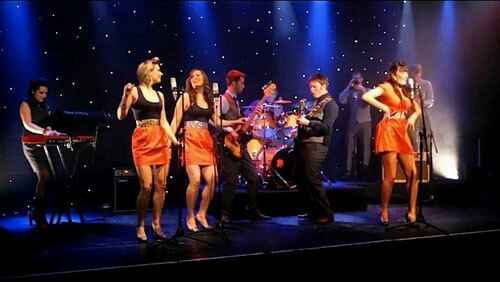 In addition to the band for your main evening’s entertainment why not take advantage of the Jazz package as well. Dine in style whilst being entertained by the refined sounds of our Jazz. And then dance the night away whilst being entertained by the full band. The Jazz & Party Package has been specifically created for those clients that wish to book a suite of entertainment but who do not want to have the inconvenience of dealing with an external band and who wish to take advantage of the discounted pricing that can be offered as a result. The brass section is comprised of alto saxophone and trumpet however this may be increased by adding tenor sax, trombone and baritone sax. The superb musical arrangement’s really bring out the best in this incredibly tight section and adds another dimension to the sound of the band. Powerful playing with ripping solos as standard. As standard we use top of the range audio equipment which is installed and operated on each engagement by our very own team. Because the band is fully engineered this ensures the perfect sound mix for each and every event. The standard vocal rig is ideal for events up to 150 people or small function rooms, allowing competitive prices and excellent value for money. For larger weddings and events, we can provide a top of the range 4000 watt PA system with engineer which is suitable to perform to a room of anything up to 400 guests. Larger systems are available on request to cater for any size of event. It is possible to down size the system to a vocal PA with independent backline amplification only. This is perfect for events that are being held in smaller rooms that would accommodate approximately 80 guests or less. We can play venues of almost any size. We don't play any louder than is absolutely necessary to create the right atmosphere and have years of experience creating fabulous weddings and parties. We believe that it’s worth paying just a little more to guarantee that your guests will have a memorable evening.